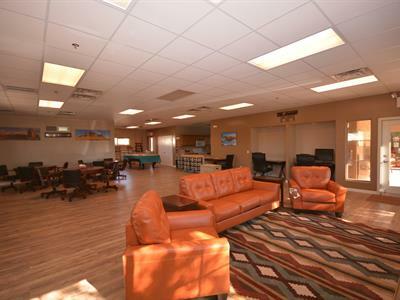 Desert Vista RV Resort has all the comforts of home in Mesa, Arizona! OUR SITES ARE DESIGNED FOR RIGS UP TO 40'! 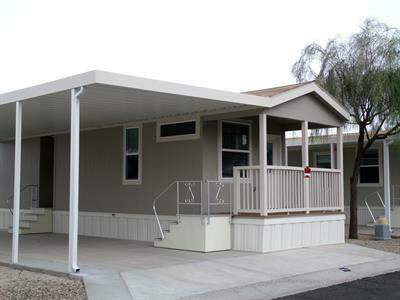 Desert Vista RV Resort welcomes self-contained RVs,(10 years or newer or in excellent condition). The RV sites are spacious, and are approximately 30 x 50 with an 18 x 33 ft. concrete pad. There are 62 total sites. Full hook-ups are available, including water, sewer, and 50 amp electric service, with the capability of phone, cable TV or high speed internet to be hooked up by the guest through Cox Communications. 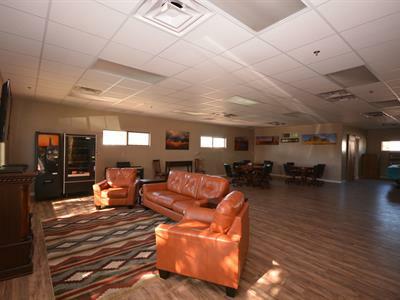 Desert Vista RV Resort provides all the comforts of home. 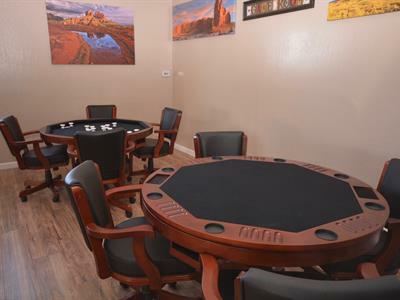 Enjoy the clean and modern restrooms, (sorry no showers available) a convenient laundromat and a comfortable clubhouse. All guests have access to a pet walk area, the community park, and the pool and Jacuzzi. 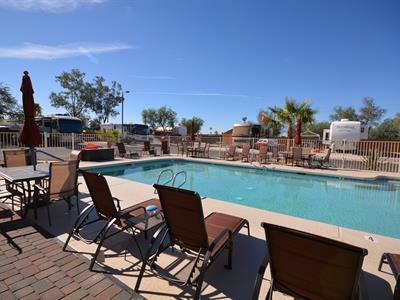 As an adult park and RV community, Desert Vista RV Resort features uncommonly nice amenities and facilities, and guests (21 years of age and above) are welcome to take advantage of them. 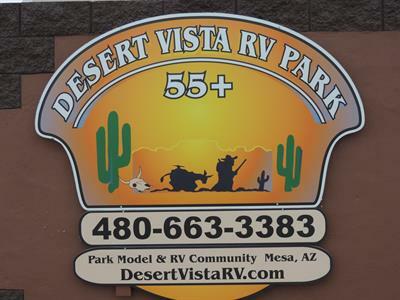 Desert Vista RV Resort is very close to additional services such as a post office, dry cleaners, gas stations, grocery stores, and bank and chapel services.